Adwords (also known as Google Ads) is Google’s system for advertising in the search results. In this photo, the results along the top and along the right side are Adwords ads. 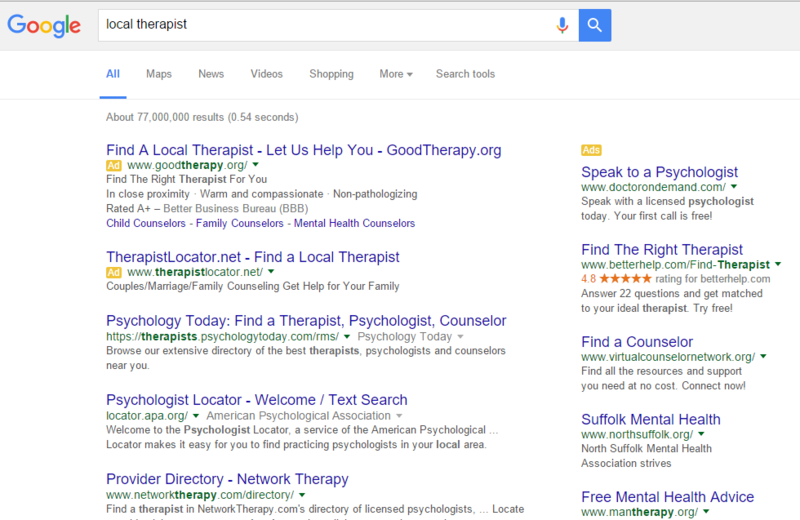 Why Do Therapists Need Adwords? Adwords helps you bring new clients to your therapy practice for a very affordable price. I recommend it for almost any therapist. The average client does about 9 sessions of therapy (source). Let’s assume you charge $100 per session. At 9 sessions per client, that means a new client is worth $900 to you. Adwords can bring most therapists new client referrals for $200 or less. I know this because I’ve personally helped over 100 therapists get started with AdWords and I see these numbers in most of them. If you spend $200 to land a client and they pay you $900, you’ve earned $700. That’s a fantastic margin. Best of all, you can track exactly how well Adwords is performing. You can see how much you’re spending, and how much each new client referral is costing you. So there’s no guesswork. You can know with certainty how successful Adwords is for you. Why Hire an Adwords Expert? The $200 per referral number I quoted you? You probably can’t get that on your own. Adwords is much like poker at the casino — anyone can play, but usually only the pros make money. There’s a lot of strategy that goes into it, and if you don’t know what you’re doing, you’ll lose money. For instance, you pay for every single click that you receive. If someone searches for “physical therapist” and clicks on your ad, you’ve wasted money. So you need to set your ads to make sure they show up for someone searching for “therapist” and “mental health therapist” but not “physical therapist” — and this can be tricky to do. Moreover, Adwords rewards effective advertisements. If your ad text gets clicked more than your competitors, Adwords gives you a discount. Similarly, if your ad text gets clicked less, you have to pay more. So one advertiser might pay $3 and one might pay $5 for the same click. Making sure your ads are as good as possible is again something where expertise helps a lot. And Adwords has lots of different features that a novice probably doesn’t know how to use. You probably don’t know the best strategies for things like structured snippets, dayparting and match types, but a professional does. I’ve been an Adwords consultant since 2011, and I have a master’s degree in clinical psychology (I’ll have my doctorate in 2019). I worked at an agency full-time for several years, then shifted to offering freelance help to therapists after entering my doctoral program in clinical psychology. I was trained by some of the best minds in the business, and I’ve run everything from massive accounts spending over $100,000 per month to campaigns for small clients who wanted to spend their first $100. I understand Adwords inside and out, and as a graduate student in clinical psychology, I understand the world of therapy as well. Plus, I’m passionate about this. 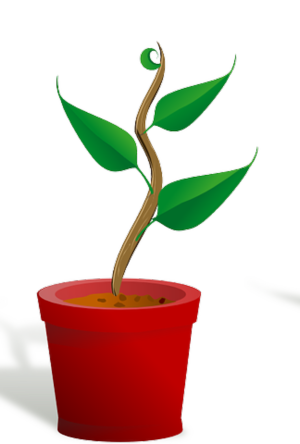 If I can help a therapist grow their business, then they can see more clients, and more people can get the help they need. That matters to me. Comprehensive Ad Group Creation: I create at least 10 ad groups for each specialty (each with a unique keyword), so your ads have a great chance to appear no matter how someone searches for you. Ad Writing: I match every single ad group with its own unique ad, which means that potential clients see ads that reflect exactly what they’re looking for. Landing Pages: I configure these ads to land users on the exact page on your site that has the highest chance of turning them into a new client. Negative Keywords: I block irrelevant searches from matching to your ads, so you don’t appear when someone searches for something you don’t offer. Technical Wizardry: I also handle all of the technical factors, like configuring your campaign settings, setting bids, and helping you with conversion tracking if desired. Each of my three packages could be right for you, depending on your marketing goals. Read on to see which one fits you best! 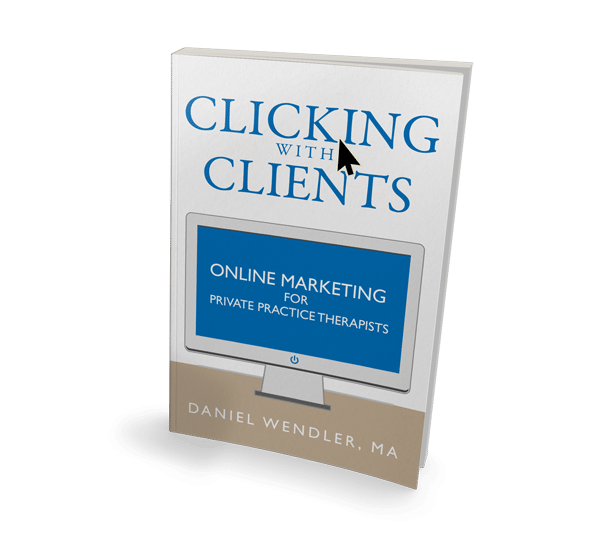 The Starter package is designed for therapists who want to try out AdWords without spending too much. With the Starter package, you’ll receive a solid Adwords campaign that will allow you to advertise for three of your specialty areas. You’ll also be able to advertise to clients looking for a generic therapist in your area if you choose (for instance, someone searching for just “therapist near me.”) And you’ll receive one-month of free management plus a performance report after 30 days and 20 minutes of email support in case you have extra questions. However, the starter pack does have some drawbacks. You only get one ad per ad group, so you can’t do A/B testing. You also get a little less customer service time (although you can always purchase more if needed), and you might not be able to reach everyone who is interested in your services. So if you’re just starting out, the Starter package is a great choice. But if you are planning on spending $500 per month or more on AdWords, and you have a number of different specialties, you’ll probably benefit from a more comprehensive package so you can cast a wider net. The Growth package is designed as an excellent mid-range pick that balances features and cost. 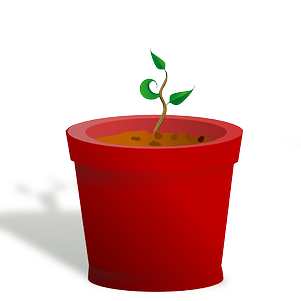 With the growth package, I’ll help you advertise for eight different specialty areas (plus generic searches if desired.) You’ll also get two customized ads per ad group which allows you to A/B test them and find which one works best in your local area. As with the starter package, you’ll receive a full month of management and a detailed performance report at the end of 30 days, but you’ll receive 40 minutes of support time in case you have some extra questions. While this is a great option for most therapists, it’s not for everyone. If you’re running a group practice, plan on investing heavily into AdWords, or otherwise have an extensive variety of specialties to advertise, you might benefit from the best package I offer. With the Concierge package, I pull out all the stops. Everything that I did for my clients that were spending $100,000+ per month during my agency days, I’ll do for you. I’ll research every single one of your specialties, no matter how niche or esoteric, and build out ad groups for every single relevant search I can find. I’ll also custom-write ads to your unique practice, helping your ideal client find you in the search results. You’ll also get two full months of account management, one hour of support time each month, and a serious discount on a website conversion optimization audit. If you want the best possible results from AdWords – or if you have a unique practice that needs a customized touch on every level of your AdWords campaign – the concierge package is the way to go. Once your account is launched, I’m available to partner with you for the long haul. While your account will work fine on autopilot and does not generally require ongoing management, having a professional manage your account does help you get the best possible performance. As with the setup, I have three different levels of management service depending on what you need. Want an answer to a quick question? Need me to log in and update your ads? Want an update on how your ads have been doing? No problem – just sign up for some a la carte time! This is the most flexible option to meet any needs that you might have. Turning your campaigns on/off, updating your budget, or changing your geographic targeting after moving to a new office location is complimentary and does not count against your support time. Wondering if something’s wrong with your account, or just want to make sure it’s firing on all cylinders? Hire me for a one-time tune-up. With this service, I’ll check in on the account, make any appropriate changes, and then check back briefly a week later to make sure my changes had their appropriate effect. I’ll also send a short report letting you know the outcome of the tune up. This also includes ten minutes of email support so I can answer any questions you have about the report. Want a steady hand on the tiller? With the monthly management package, I’ll monitor your account for as long as you specify. This allows me to make more fine-tuned changes than are possible with a one-time tune-up, and ensures that any problems will be caught swiftly. You’ll also receive 15 minutes of email support and a performance report every 30 days. Many clients choose to space their management time out in order to reduce cost. For instance, you might have me manage the account every other month, or one month each quarter. Generally clients with a Starter package are fine with quarterly management, a Growth package benefits from every-other-month management, and a Concierge package might benefit from consistent management each month. I also offer some other services which can complement your AdWords investment. If you want the most effective AdWords performance, you’ll want to create specific landing pages for each of the specialties you offer. This allows me to take clients to a page that relates to the exact issue they’re looking for, instead of sending them to your home page and forcing them to guess if you can help with their issue. Fortunately, there’s help. My content director Kyler has extensive experience in writing high-quality content for therapist websites. He can produce content for your website that is readable, authoritative, and SEO-friendly. 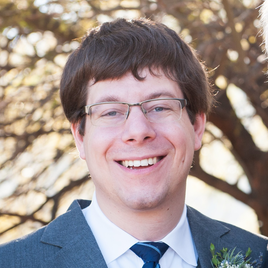 Plus, he is also a graduate student in clinical psychology, so his writing reflects current research in the field of psychotherapy and can be tailored to your specific theoretical orientation. You can visit this page to learn more about his services or to get in touch with Kyler. Your AdWords campaign is only as effective as your website design. With our design audit, we go page-by-page through your website and provide suggestions for improving your user experience so that website visitors become more likely to sign up for therapy with you. While we don’t actually make any changes to your website directly, we provide extensive guidance on how you or your web team can implement the changes. This service is normally $400, but you get an increasing discount depending on which setup package you sign up for. 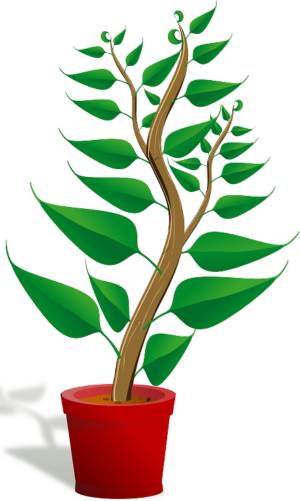 Many therapists choose to pursue both AdWords and SEO as a strategy. If you’d like some help along the way, we offer a la carte SEO consulting for $200/hr, or more elaborate packages at varying rates. You can read all about our SEO services here! While most of my therapist clients are able to turn a profit using AdWords, I cannot guarantee success, so you should never put money into AdWords you can’t afford to lose. Fortunately, on the rare occasions where Adwords is not successful, it’s usually apparent within the first 1-3 months. I suggest that you consider the total amount you would be investing in AdWords over this period (considering both my fees and the amount you pay directly to AdWords) and make sure you are comfortable with the risks involved – if you need help with this calculation, feel free to contact me! As a therapist myself, I have a responsibility to ensure that people in need of mental health care are only connected to providers who will help them. Therefore, I have a code of ethics which prohibits me from advertising mental health services for providers who are not qualified to provide those services or whose approach is not evidence-based. You can read the exact policy here. If you are not a qualified mental health provider, I may still be able to work with you, as long as your website does not claim to treat mental health issues and our advertisements do not target people looking for mental health treatment. Got questions? I’ve got answers. Can I upgrade to a different package later? Yes, you can move from one package to another by paying the difference between package prices plus a $200 upgrade fee. So if had started with a Starter package and wanted to expand to the Growth package, you would pay $600 ($1600 – 1200 + 200). If you purchase at least three months of management, the upgrade fee is waived. How much should I spend on Adwords each month? That really depends on the needs of your practice. You should spend at least $200 per client that you want to attract, since that is the average cost per new client. So if you want an average of one new client each week, you would want to budget $800 per month. Of course, you also need to balance that against your practice finances. I never suggest you risk money you can’t afford to lose in AdWords. So it might make sense to start with a lower budget if cash is tight, and then increase over time if Adwords gets you good results. What is the difference between Adwords and SEO? Google’s search results are a combination of ads (placed there by advertisers) and what are called “organic” results (placed there by Google’s algorithm.) Adwords is the system you use to manage your advertisements, while SEO refers to the techniques you use to convince Google’s algorithm that your site deserves to show up in the free listings. Should I invest in Adwords or SEO? In a perfect world, you’d invest in both. But if you have a limited budget, I recommend you start with Adwords. While both Adwords and SEO can help you bring in traffic, SEO takes longer and requires more work. With Adwords, you’re competing against the handful of other therapists who are also using Adwords. With SEO, you’re competing against every single local therapist with a website. That means it can takes months before your efforts start to pay off. So I normally recommend that therapists start with Adwords. Adwords brings you traffic immediately, and allows you to start seeing new clients right away. Of course, if you can invest in both SEO and Adwords, go for it. But since Adwords has the quicker payoff, I usually recommend that people start there, and use some of the profits from Adwords to invest in their SEO strategy. I can help you with both AdWords and SEO. To read about my SEO services, click here. Unfortunately, I can’t guarantee that Adwords will be profitable for you, even if I’m managing it. There are too many variables outside of my control, such as the quality of your website, your competition, and the area you’re located in. However, I can guarantee that I’ll give you the best possible chance at success I can, and I’ll be transparent about performance so you can make informed decisions about how much you invest in your advertising budget. After your account is launched, I do not offer refunds on the setup fee because of the time I invest to launch each new account. However, if you are not happy with your new account for any reason, I will provide up to one hour of free revisions at no extra charge. If you pay for ongoing account management and decide you want to stop, I’ll refund your unused management fees on a pro-rated basis. Sure! My LinkedIn profile has all my work experience. I’d love to help you bring in some new clients. Fill out the contact form below and I’ll be in touch right away.